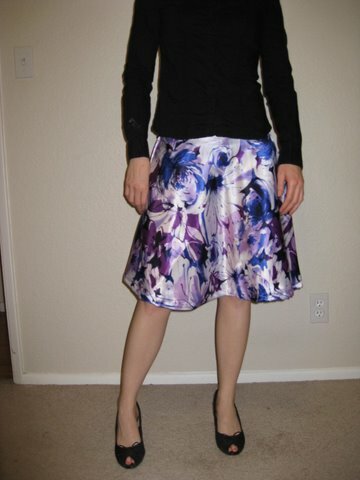 Here’s my first attempt at a new skirt pattern. 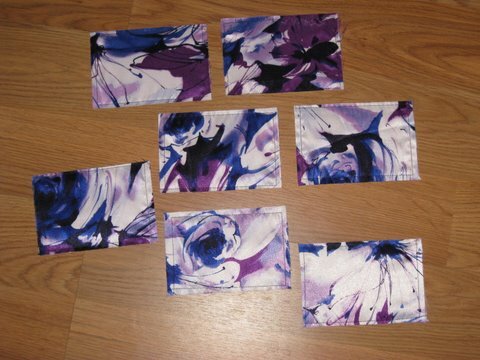 For some reason I started with a slick purple watercolor floral fabric rather than an easier (cheaper) basic cotton. I screwed up the zipper and should add some kind of waistband or at least waist finishing, and I think it’s still wearable, perhaps for work as pictured. I had to make it smaller once I had sewed it, because apparently my measurements don’t actually correspond to the size on the pattern that it says they should. I also cut off six inches from the bottom for a better proportion. 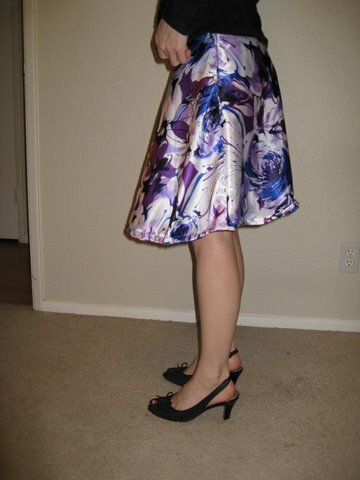 As you can see from the difference in length between the front and the back, I failed to account for the shapeliness of my hindquarters and will need to adjust the hem in the front to make it even. (Working on my posture could help too.) My rear has certainly become curvier since I started CrossFit coming up on a year ago, in a way I do not find entirely unpleasant. October 15, 2009. Tags: card, clothing, fabric scraps, floral, skirt. Pictures, Projects, Words. liking this new camera more picture thing. and when you turn the skirt around it’s still the same? more glut. max in back? more snowy drizzle way too early in Oct, today. so cheery floral is good. October 15, 2009 at 5:56 am. Permalink.